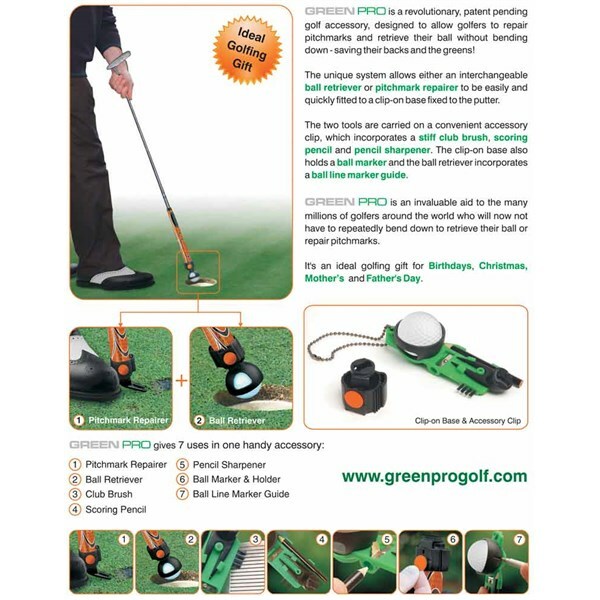 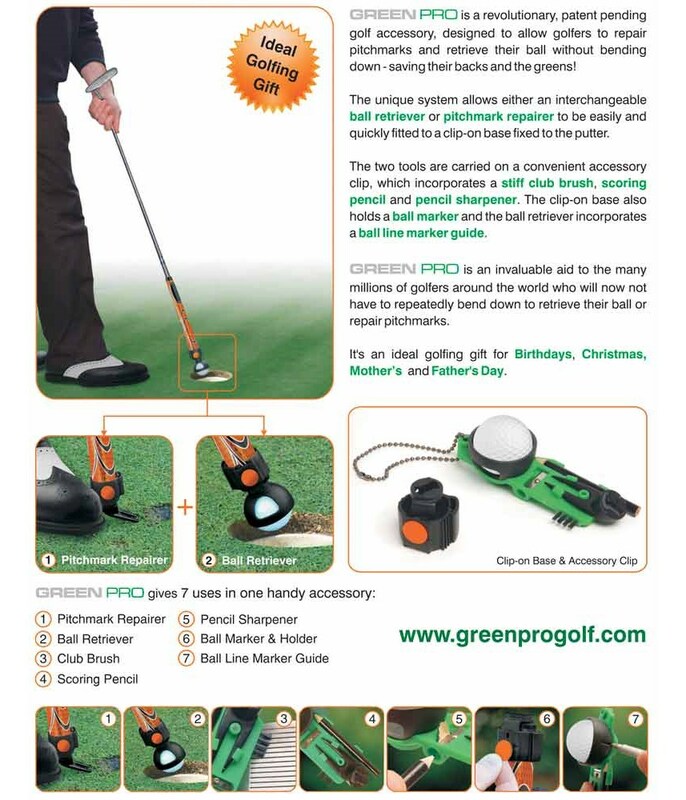 GREEN PRO is a revolutionary,World approved patent golf accessory, designed to allow golfers to retrieve their ball and repair pitchmarks whilst standing - saving their backs and the greens! 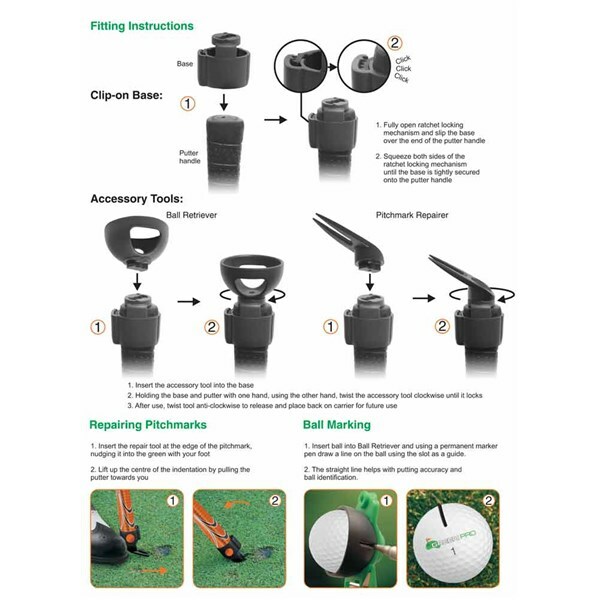 The unique system allows either an interchangeable ball retriever or pitchmark repairer to be easily and quickly fitted to a clip-on base fixed to the putter. 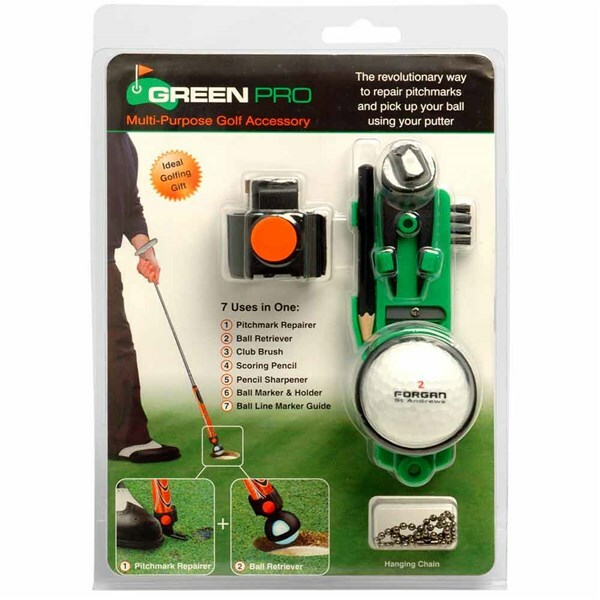 The two tools are carried on a convenient accessory clip, which incorporates a stiff club brush, scoring pencil and pencil sharpener. 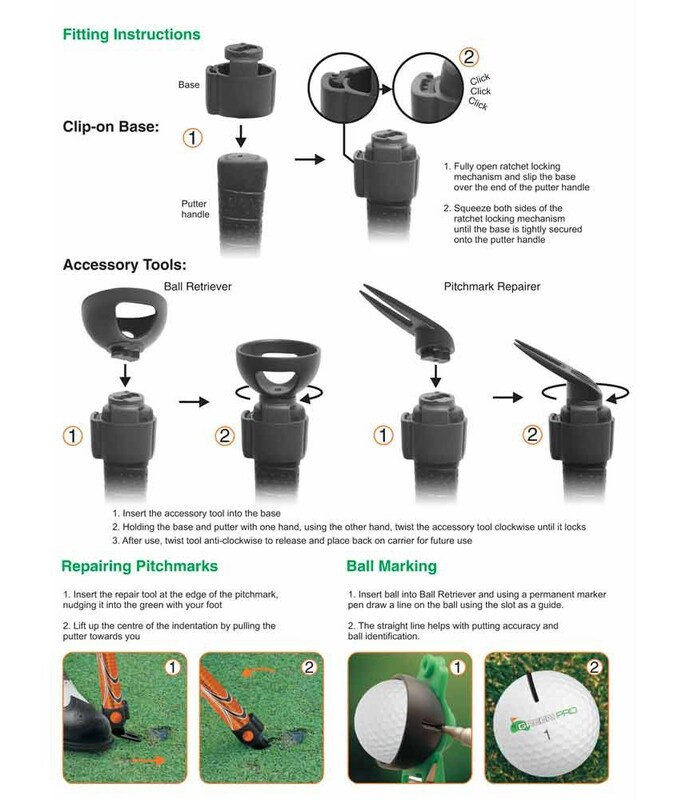 The clip-on base also holds a ball marker and the ball retriever incorporates a ball line marker guide. 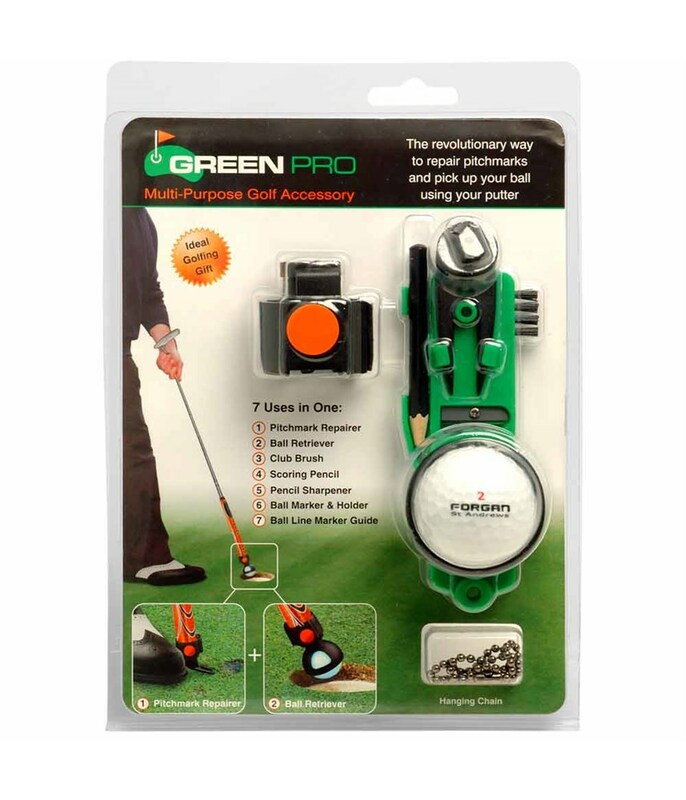 GREEN PRO is an invaluable aid to the many millions of golfers around the world who will now not have to repeatedly bend down to retrieve their ball or repair pitch marks.